At least one person is dead and three are missing after an incident at the UK’s Didcot power plant, authorities say. Witnesses reported an explosion at the site, after which part of the building collapsed. The incident occurred at the Didcot power station in Oxfordshire, around 70 miles (113 km) west of London. Witnesses describe hearing a loud blast before part of the building collapsed. Several videos and photos posted on Twitter show plumes of smoke and dust rising into the air near the damaged building. South Central Ambulance Service called the situation “a major incident” and said that six ambulances and two air ambulance had been dispatched to the site. Reports on casualties still vary. Ed Vaizey, a Minister of State for Culture and the Digital Economy, said one person had been killed in the incident and three more were missing. While sources at the fire-fighting service told AFP that one person had been killed and five had sustained injuries. Rodney Rose, the deputy leader of Oxfordshire County Council, told the local Oxford Mail newspaper that at least one person has died in the incident. “I have been told there has been one fatality, but the rest is currently unknown. The fire service is there now and we are still trying to find out if this was a demolition. At the moment this is being treated as a collapsed building, not an explosion, but there was a bang,” she said as quoted by the Oxford Mail. Very concerned about terrible events at Didcot power station. Praying for workers and their families. Local resident Bill McKinnon believes that the explosion occurred in the building that housed the power-producing generators. “About 4 o’clock, when I heard the explosion and the very loud rumbling, by the time I had got up and looked out of the window, there was a huge cloud of dust which came through and over our village. When that had cleared, I noticed that half of the old power station, where they used to keep the generators, half of that was missing,” he told The Telegraph. Another witness named David Cooke also said that “the main turbine hall collapsed in a pile of dust,” British media report. “It totally obscured the towers and must have drifted across the roads and main rail line. What’s left looks a tangled mess,” he told The Guardian. The Didcot A plant, which was a dual-fired power station launched in the 1970s, closed down in 2013. Demolition of the station was due to be complete later this year, though no activities were scheduled for Tuesday, according to the British media. The collapsed Didcot A power plant is located near the active natural-gas Didcot B power station, which was unaffected by the incident, RWE, the energy giant that owns the power stations, confirmed to the Telegraph. 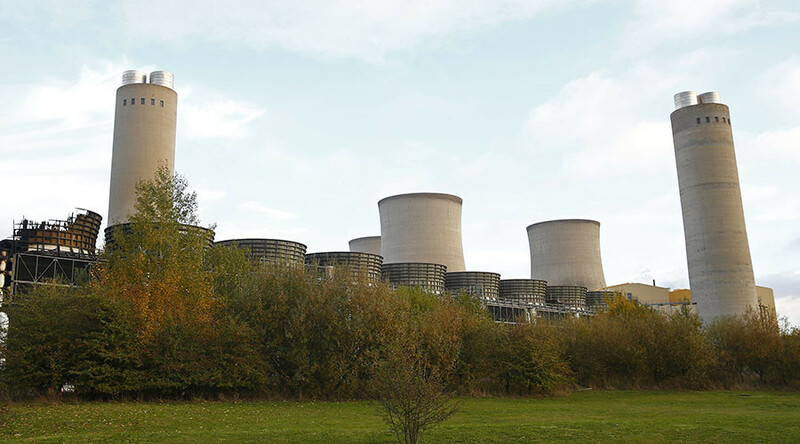 The paper also claimed that the accident at the Didcot A plant occurred as contractors from the firm Coleman and Company were on site preparing for the demolition of the remaining three cooling towers, which was scheduled for next month.